Behind failures of every diet plan, behind the failure to keep any promise when it comes to controlling in diet and behind every unsuccessful attempt to healthy eating there is one tiny devil around that is so subtle that we often fail to recognize it. Do you know who that is? It is Emotional eating also known as Stress Eating. This is a huge problem we face amongst youngsters especially children and teenagers today. In this article, I have planned to present a clear idea about emotional eating disorders for children and how as a parent or guardian we can try to help our children stop being the victim that leads to serious health concerns for future generations today. 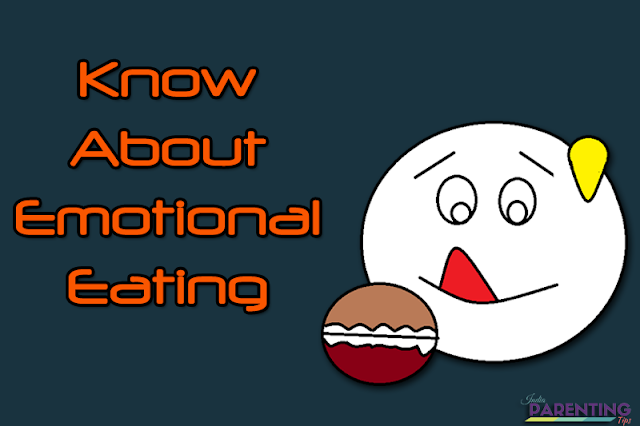 What is Stress Eating or Emotional Eating? How to identify and Stop Emotional and Stress Eating. Your Role as a Parent to Stop Emotional eating? Stress eating or emotional eating is strange strong craving for food that one feels that makes us feel good and caters satisfaction to our emotional needs rather than our physical needs and requirements. This problem is present in both adults and children. However, for children, it becomes more serious as they are above all kids and they fail to realize that they are in trouble and they need help to come out of this. Children who are victims of emotional stress feels that their emotional disarray and needs cannot be fulfilled through the intake of more and more food that their body requires. Reaching out for a box of Chocolate or order some pizza when you feel you have nothing to do or when you are sad and lonely are such examples of Emotional Eating. Unfortunately, they fail to realize that emotional hunger cannot be filled up with food. On the contrary, it might feel worst due to the intake of too much of calories in the body. Stress Eating or Emotional Eating triggers severe health hazards which have both immediate and long-term effects on the children. Read more articles by clicking on the topics of Child Obesity, Type 2 diabetes, & Cyberbullying. Does your child show the sudden demand for food at odd times? 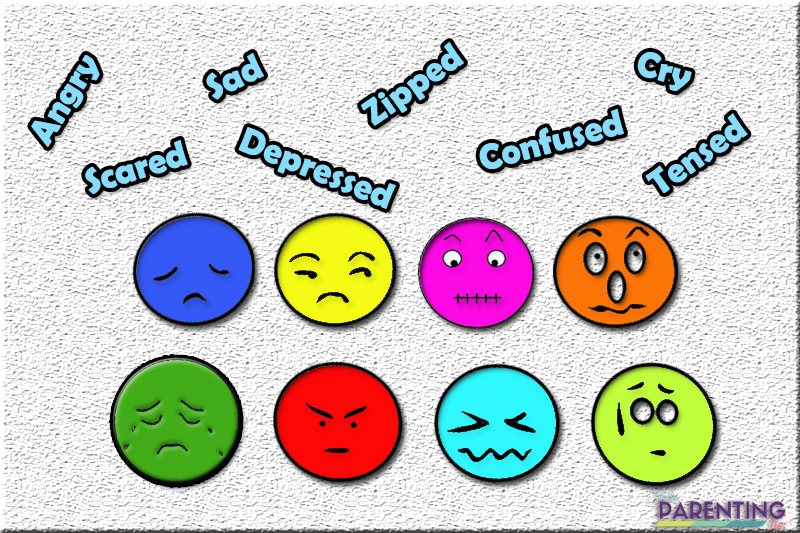 Does he or she feel better after eating food when he or she is upset or angry or bored? Is Food the only recourse of recreation and happiness for him or her? Check if she or he feels food as his or her best friend? Is she or he likes to live in seclusion and has fewer friends around? Does he or she avoid social gatherings? What is the BMI of the child? Is it more than 30? If the answer to all these questions is affirmative then your child might need help and support to overcome overeating due to stress. There are many factors that trigger off stress eating in children. The child is emotionally charged or stuffed with multiple emotions. When the child is having mixed emotions and has no means to vent out feelings the only source of temporary relief from such unpleasant feelings like anger, loneliness, betrayal, shame, resentment and so on is food. Loneliness and Boredom. When the child feels lonely and secluded and has no one to talk to about his or her feelings and thoughts, he or she feels lonely and depressed. At that time food seems to be the only companion to share his or her multiple emotions. Lifestyle and Habits: How many times have you rewarded your child with chocolates or ice cream or any other junk food? If the child is often rewarded with food as gifts it seems natural for the child to feel happy and satisfied when food is offered to him or her as a means of appreciation. Stress: This is one important factor amongst children and adults that paves the way to stress eating. There is a special hormone known as Cortisol which triggers strange cravings for fried food, sweets, and salty snacks. As a conscious parent, I am sure you would leave no stone unturned to help your child stop being the victim of emotional eating or stress eating. However, you need to hit the bull’s eye and address this urgent need exactly where it needs your action. Here are some helpful tips that might guide you to hit the right spot! Give your time: Often due to our hectic life schedules and certain unavoidable responsibilities we fail to provide appropriate time for children who need our time and attention. Exercise: Inculcate daily work out and excise habits in the family as a whole and slowly try involving kids in it. If you force your child to work out, the child may not show any interest if already the child is emotionally charged. However, if the entire family is involved and it becomes like a special family time to a healthy lifestyle it may develop an interest in the child to be a part of the action. This may not happen overnight. You need to have patience and dedication. Regular Outings: Ensure that you take the children out regularly at weekends for some good family moments. It might be a movie hall or a play station or even a theme park depending on the child’s interest. Extra-Curricular Activities: Check the special interest of your child if any and help him to master it. Your child might be a good painter or a gamer or a singer or might have a special affinity to any particular sports. Make sure the child indulges in physical activities as it is a great way out for stress relief. Inculcate proper Eating Technique: Make sure that you teach your child to chew the food properly before gulping in. Do not force the child to eat if he or she is not able to finish his plate. Make sure the child is taught to eat slowly and take small bites. Develop reading habit, fantasy, and thoughtfulness: Every child loves fantasy. That’s why you see so many children glued to gaming and constantly active in many online sites. Instead of forcing the child to stop gaming activities and playing online games provide some healthy alternatives. Nothing is better than inculcating proper reading habits in children. Above all, books are one's best friend! But how will you teach a child to read when a child is so restless and feels it boring? It can be done with your regular dedication and effort. First, identify your child’s interest. Is it sports? Is it music? Is it a novel? Is it a fairy tale? Is it about scientific inventions? Animals? History? No matter what it is you have books for all interests. Grab a book and start reading to your child. Slowly you child would develop the habit of listening to story which can be changed to reading. I hope my article is helpful to parents today to know more about Emotional eating and Stress eating. The tips that I have provided are my thoughts and reflections with experience that I hope is beneficial to all. Your feedback is a big motivation for me to come up with more such parenting challenges.